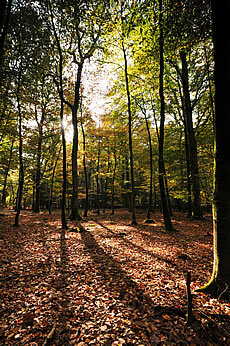 Lyndhurst is in the centre of the New Forest, a small rural village developed in the 19th century. The High Street today has a charming selection of shops offering gifts, antiques, butchers, bakers, and "Budgens Supermarket". The New Forest Visitor Centre and Museum is situated in the public car park just off the High Street. It is the only visitor centre open all year round and has free leaflets on all the local attractions, quality publications, bus tickets (many more trips leaving from the same car park), theatre information and booking facilities. Around the area are lots of attractions and Museums that we have brochures for and many more are at the visitor centre. There is Lloyds, and Nat West banks and a post office. There are many different places to eat ranging from traditional Pubs and Cafes to Bistros, Italian, Indian, Chinese, Thai, and French restaurants all a few moments’ walk from the Hotel or Cottages. 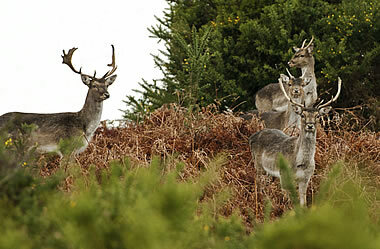 Originally named by William the Conqueror nine centuries ago as his "NEW" hunting forest for the royal deer this precious area of English countryside still has over 200 square miles of ancient woodlands and wilderness heaths remaining largely intact. More than 5000 ponies and cattle roam freely across this open are cared for by the "AGISTERS" who are responsible for the welfare of all commonable animals. With cattle, pigs and donkeys alongside deer, foxes, badgers and British birdlife, wildlife enthusiasts and bird watchers will be richly rewarded, particularly at dawn and dusk. As well as exploring the Forest and its Villages, such as Brockenhurst, Beaulieu and Burley there are numerous local attractions to visit, Beaulieu Motor Museum, Paultons Park with Peppa Pig world, Exbury Gardens, Sammy Miller Motorcycle Museum, Broadlands House (home of the Mountbatten Family) and the Isle of Wight. The New Forest Golf Club is situated on the edge of the village of Lyndhurst in the heart of the New Forest National Park, with a very picturesque “pay & play” 18 hole golf course and a comfortable forest style clubhouse incorporating restaurant, bar, shop and changing facilities. Having an unrivalled reputation for friendship, social activities and golf competitions they offer the game of golf to all regardless of age, gender or background. You are assured of a warm and friendly welcome and an opportunity to experience a unique natural forest course and play golf as it was intended. Numerous other local golf courses are available! For CHILDREN there is Longdown Dairy Farm and Paultons Park (both excellent) as well as other animal attractions and Local swimming pools (Rapids at Romsey) and a Mega Bowl (tired, but good fun on a wet day/evening) on the way into Southampton.